450VAC CBB65 capacitor suitable used in electric motor and general purpose AC applications. CBB65 series are common used in refrigerators, fan, pumps, illuminating lamps, etc. 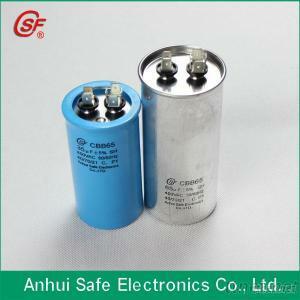 Why Choose ANHUI SAFE CAPACITORS? 1. )As a national high-tech enterprise, we have 22 years exprience in capacitor industry, 25 industry patents and a number of invention patents. 2. )to ensure the product quality and consistency, we have obtained the ISO 9001 quality system certificate and CQC product certificate. to be top manufacturer. It is our greatest honor to serve you!